Apparently that’s a frequently asked question of Occidental Dissent, the “group” that’s organizing the first post-Charlottesville “White Lives Matter” rally on October 28, 2017. 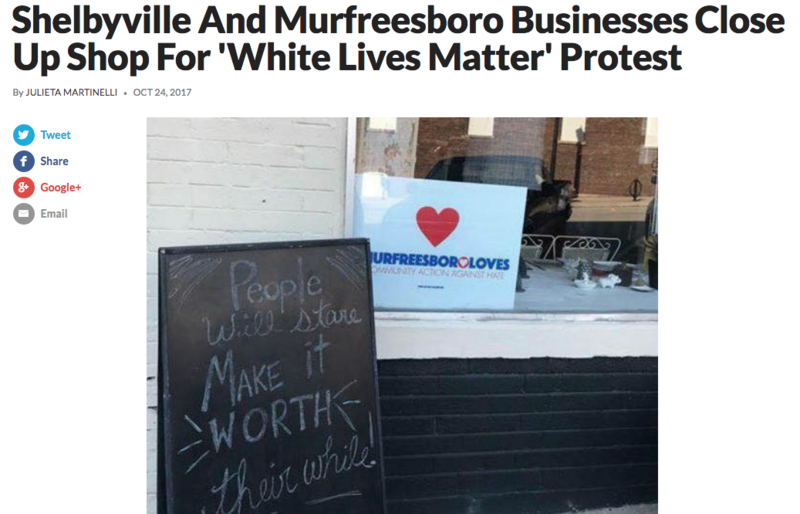 They hope that white nationalists will bring anti-immigrant/refugee fury to…Shelbyville, Tennessee. Many of you — immigrant rights activists, mayors, policy watchers, educators, faith based leaders and more — know that almost a decade ago, Active Voice Lab began executive producing (with the BeCause Foundation) Kim Snyder’s highly acclaimed documentary Welcome to Shelbyville. Filmed over a turbulent year, Snyder showed how a handful of neighbors in this demographically changing rural town drew on lessons learned from the Civil Rights movement to welcome the Somalis who had peacefully come to work in the local Tyson Chicken processing plant. But how, in 2011 when the film premiered on PBS/Independent Lens, could we have imagined the landscape today? Refugees from Muslim-majority countries facing increased hate speech, violence, and outright bans at our schools, places of worship, and borders. Groups as varied as Black Lives Matter, Apple, and the US Conference of Catholic Bishops are raising their collective voices and for some, taking to the streets to defend and support newly arrived immigrants and refugees, DREAMers and more — against a rising xenophobic din. I wonder what filmmaker Kim Snyder will encounter when she heads back to Shelbyville this week to reconnect with the unforgettable people who let her into their lives years ago? Will the “alt-right” be mobilizing? Will local African Americans stand by their foreign-born neighbors as torches come through the same Tennessee town where elders remember the Klan burning down their very own courthouse? Will the local leaders stand strong with their embattled neighbors from Somalia and Burma? Will religious leaders, city officials, teachers, law enforcement and others demonstrate how this all-American town can pull together against hate? Confederate flags, assures Brad Wallace, are welcome. How can we take action to support immigrants and refugees in Shelbyville? 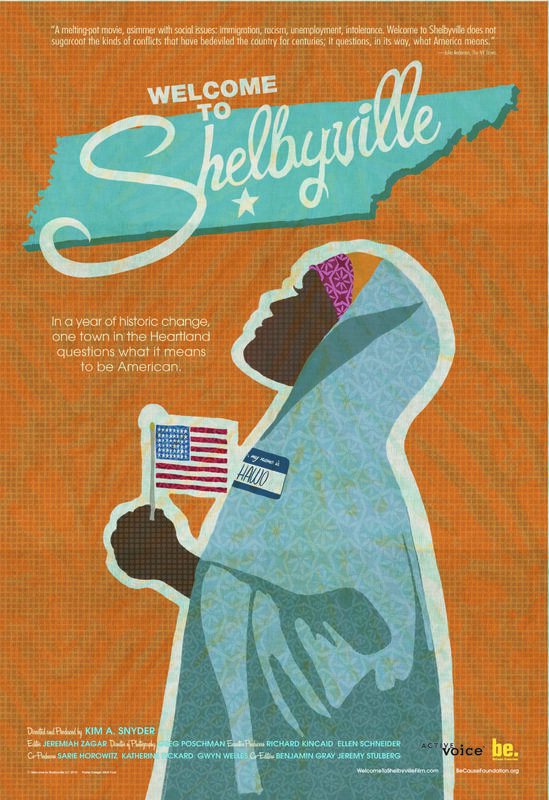 Support the work of the Tennessee Immigrant and Refugee Rights Coalition [TIRRC], whose work was featured in the film Welcome to Shelbyville and who are now working to show that Tennesseans stand for values of inclusion and welcoming. 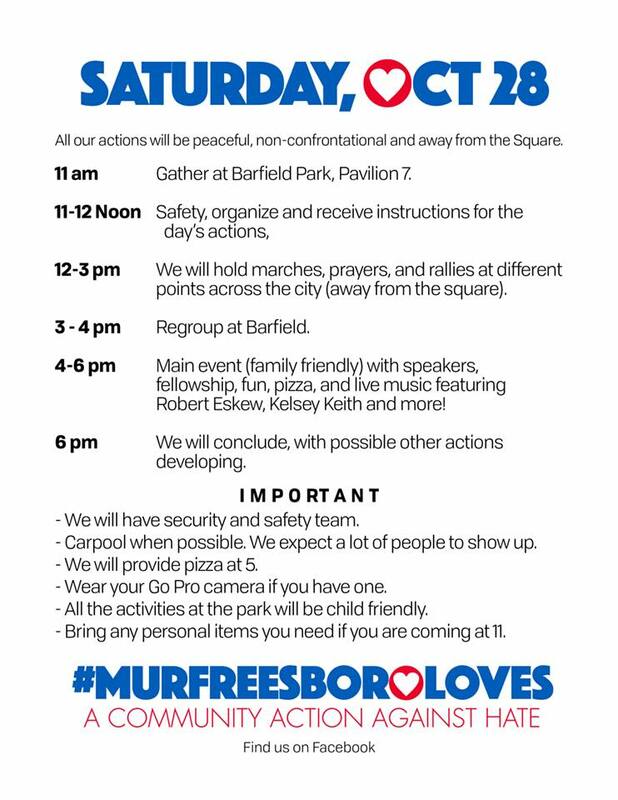 On the day “White Lives Matter” rallies are set to take place in Murfreesboro and Shelbyville, TN, TIRRC will be bringing the community together to reject hate through a peaceful action in Murfreesboro. 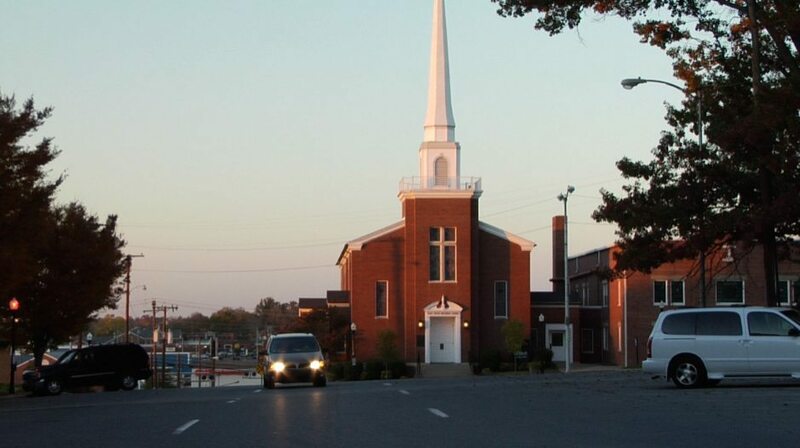 Learn more about the story of Shelbyville and how your community can overcome divisions and build a more welcoming place for everyone – including immigrants and refugees. The non-profit organization Welcoming America offers tools and resources to bridge divides and develop inclusive policy in cities and towns nationwide. Include Attn: Swartz Emergency Grant Fund in the memo line. For questions, contact Sarah Mohr (smohr@utahfilmcenter.org) at 801-746-7000.